BCIC Job Circular & Application Process 2017. Bangladesh Chemical Industries Corporation (BCIC) Job Circular and Online Application Details find here. All concern candidates able to apply for bcic gov bd career opportunity. The Latest Career Opportunity at Bangladesh Chemical Industries Corporation (BCIC) Under Ministry of Insusties . The BCIC Authority has given the Couple of Categories Jobs Circular 2017. 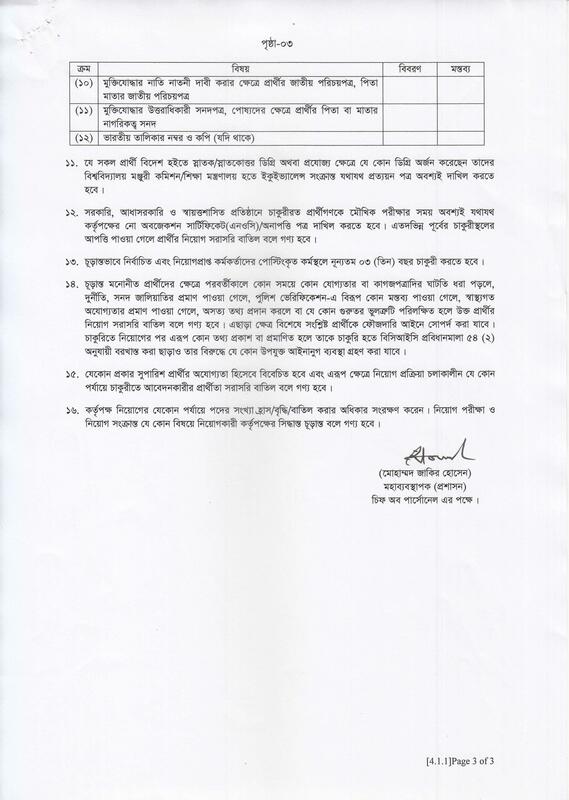 Therefore, BCIC Job Circular and Application Form Details Will Found www.bcic.gov.bd or www.bcic.teletalk.com.bd site. Interested candidates have to Apply for New Job of BCIC within 06 July 2017. Let’s check the BCIC Job Circular & Application Process 2017 from below. Bangladesh Chemical Industries Corporation Job Circular 2017 bcic gov bd. BCIC Job Online Application and Circular details are available below. Bangladesh Chemical Industries Corporation, fully owned by the Government, was established in July, 1976 by a presidential Order. Total recruiting of Training Institute for Chemical Industries (TICI) are three hundred thirty-four candidates. BCIC has been announced a Jobs Circular for Various Posts Job Notice publish Date is 10 June 2017 at Daily Kalerkhantha Newspaper and official website. Interested Candidates are Request to Apply via Bangladesh Chemical Industries Corporation Official Site. At First go to BCIC Online Application Website. Then Fill up Your Application with Photo and Necessary Information. (Photo Size should be 300×300 pixel, Signature Should be 300×80 Pixel). 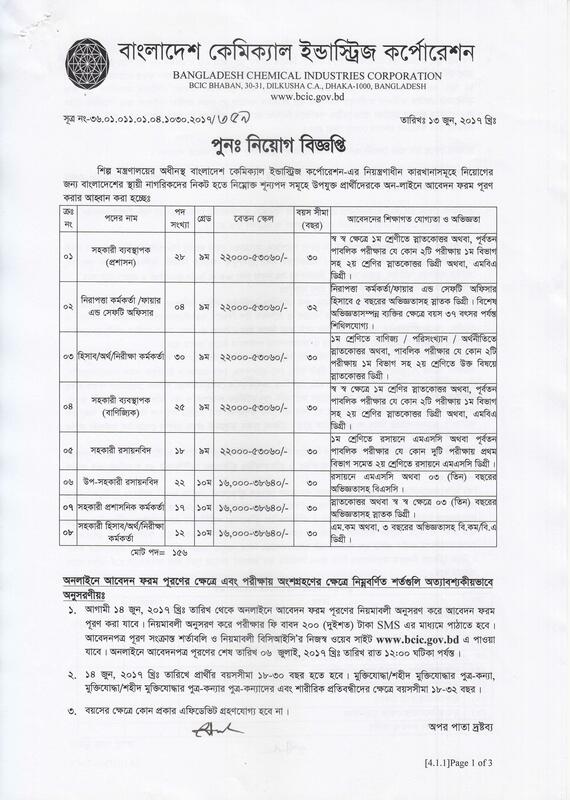 Please Print your Bangladesh Chemical Industries Corporation Application Form. Then Pay Your Fee via Tele talk Mobile SMS (Candidates Have to pay Fee Within 72 Hours After Submission of Form). Only Selected/ Sort List Candidates Can Download Admit Card. A confirm SMS will be send about Admit Card Download. Candidates Can BCIC Download admit Card. Bangladesh Chemical Industries Corporation Job Exam Date, Exam Information and Others Information Will Found here. When Authority Publish Exam Notice, We Update here. Hope You Like the BCIC Job Circular Application Form Details 2017.